Thank you. Think I will skip the one I have been offered then. It is claimed to be a Tokai made - but no serial what so ever to spot on the guitar. Cort made Grecos also have a different kind of plastic in the inlays, the logo and the diamond in case its a Custom. Further, you can see it on the screws which holds the bridge. Also, the Japanese often have nickel and the Korean regular chrome. All of which can be identified easily if the seller provide decent pictures. Yeah I was talking about easy to identify diffs in the cavities. We're forgetting the block nut and coloured pup wire on Corts. Could anyone post a picture or two, of the differences between the Cort and Tokai made Greco LP Custom? Here is a picture of how it looks. 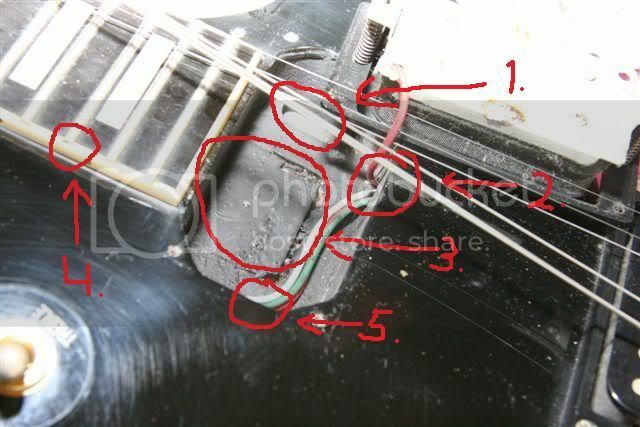 It has the same wire and tenon - but not the "egc 75" stamp. That's a Tokai made Greco. 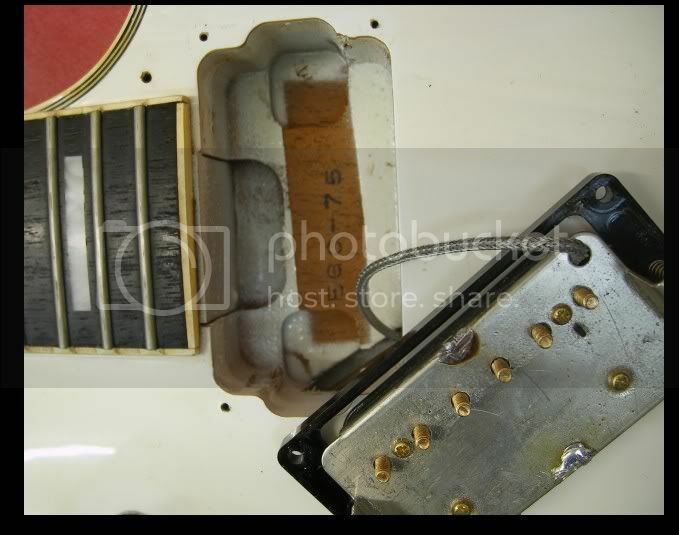 Note the 2 square shaped shallow holes on each side of the bottom of the pickup cavity, that's done by a Tokai factory router. Many Tokai made Greco do not have FEB. But if one has then there is no doubt. "....so I threw the guitar into the audience, and some bugger threw it back, but kept the strap and pick"
Yes, that's a Tokai made Greco EGC-75. Hi! One qwestion: what model of pickups used in Tokai made Greco eg-75?